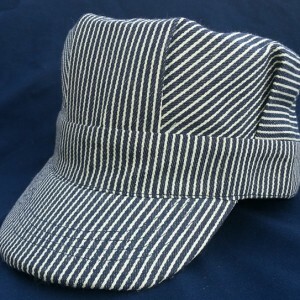 Bandanas | Brooklyn Peddler | Fine railroad novelty items and other fun things including the best wooden train whistle made! 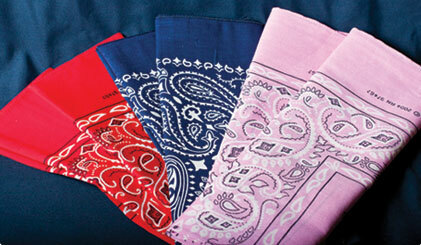 Made in the good ol’ USA, we stock red, blue and pink bandanas. AND, we can special order just about any color or style you want (24 pc. min.). These bandanas look great as a stand alone but when you have us silk screen a corner with your logo, they are dynamite.